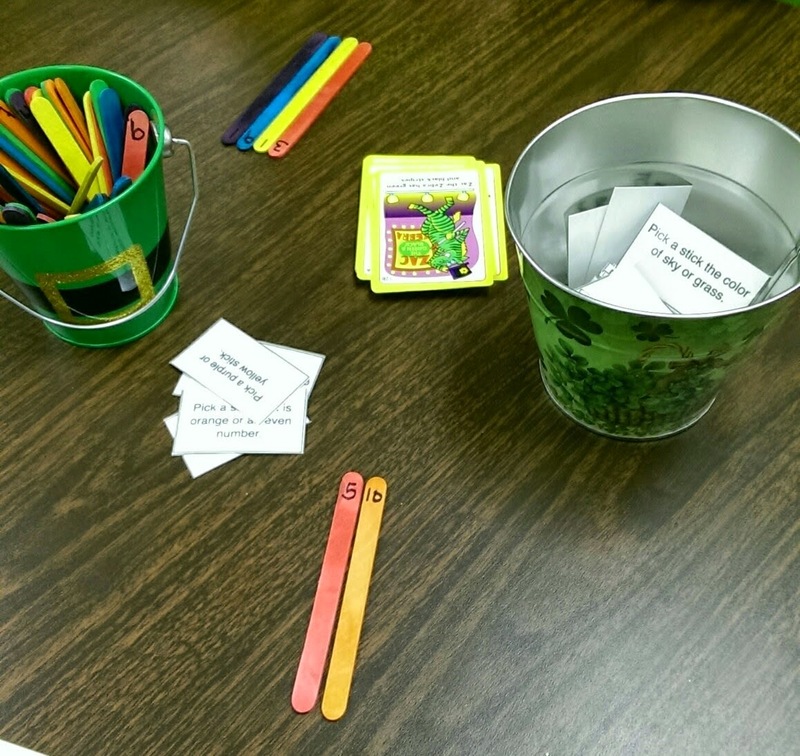 For the independent station, I used Lucky Speech Reinforcement Game (Free from Lauren LaCour). I thought I was being smart by printing out 2 of the pages on 1 sheet, but it made the leprechaun cards with the writing a little hard to read. Otherwise, it worked great! 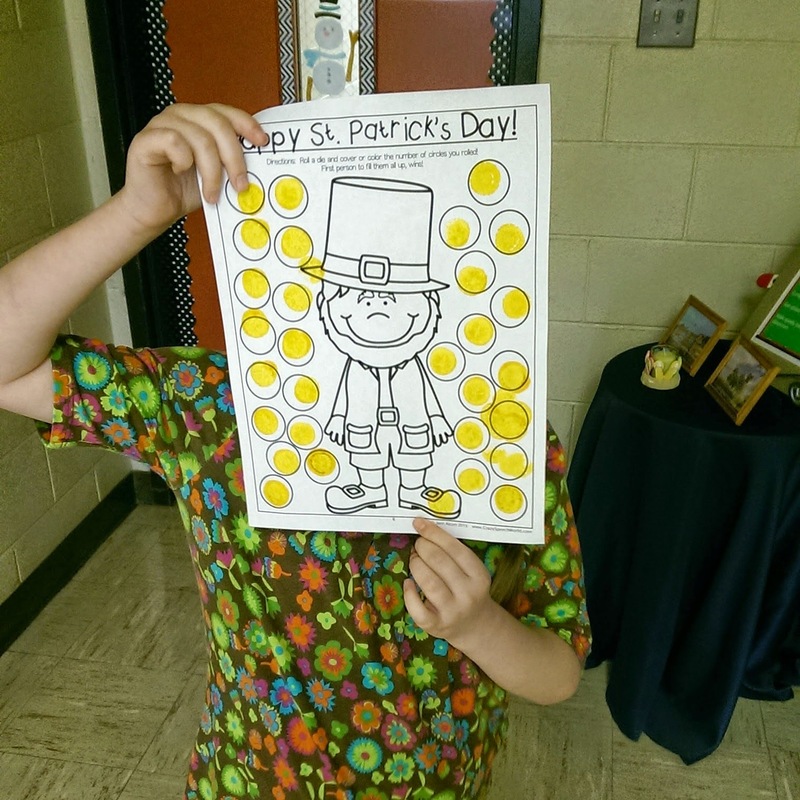 I also used the "Shamrock Scenes Cut & Glue" (no picture) to work on following directions using "on" and "under" as well as vocabulary. 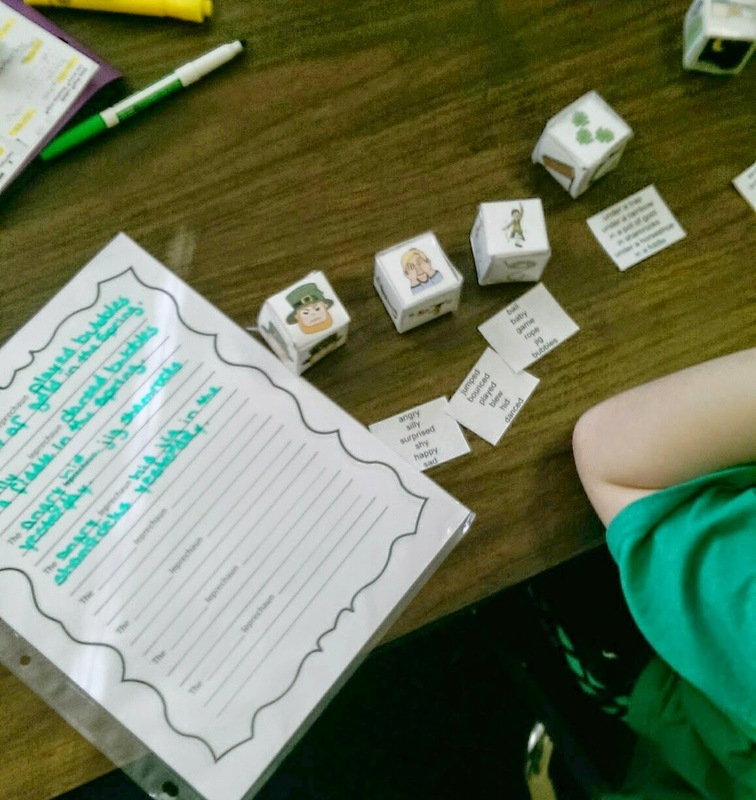 I used part of my "St. Patrick's Grammar Dice" (You can find these free from LessonPix) to work on making complete sentences. I paired my first attempt at making materials (FREE!) with the story included in Speechy's On Topic Packet! I've gotta admit: I had no idea how to work with this goal with one of my students, and this is the perfect thing! 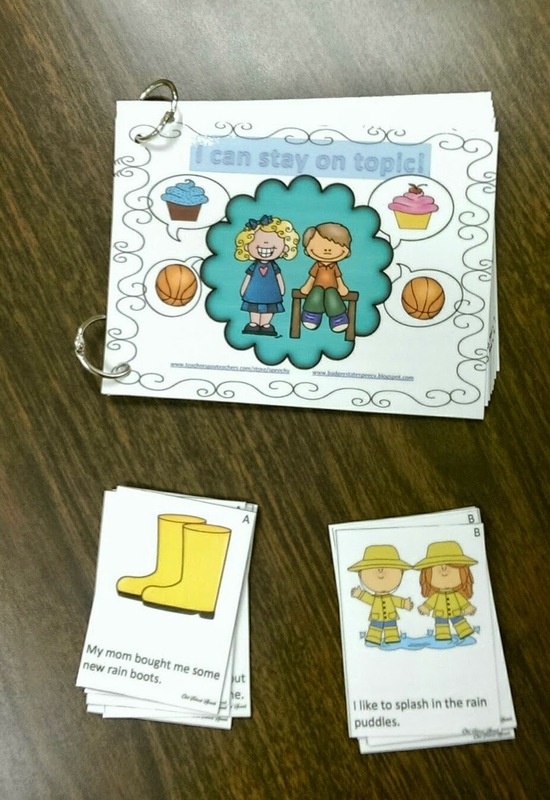 I started using Nicole Allison's Leveled Grammar Activities with some of my students. This is worth Every. Single. Penny. 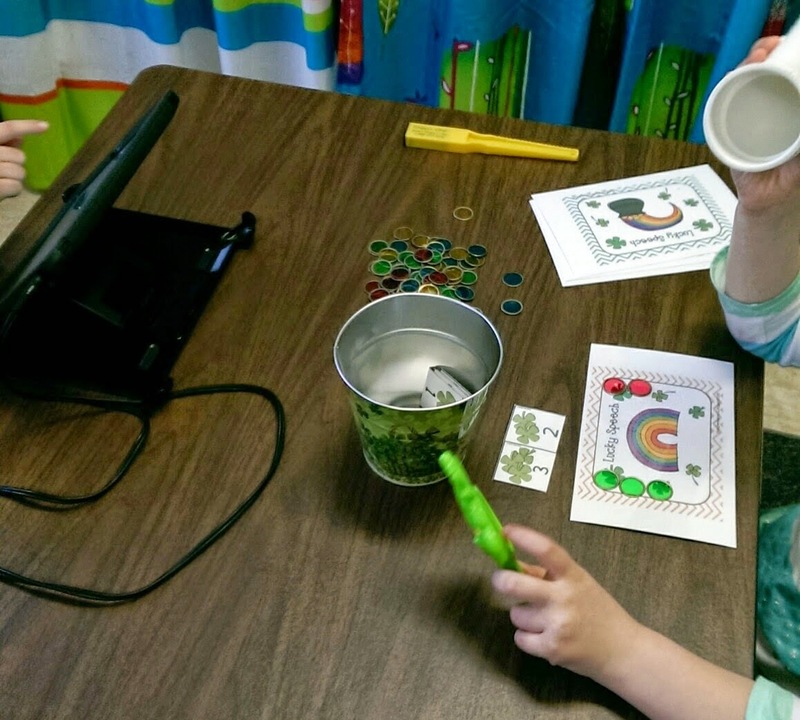 Make a Rainbow Stick Game by Mia McDaniel (a.k.a. 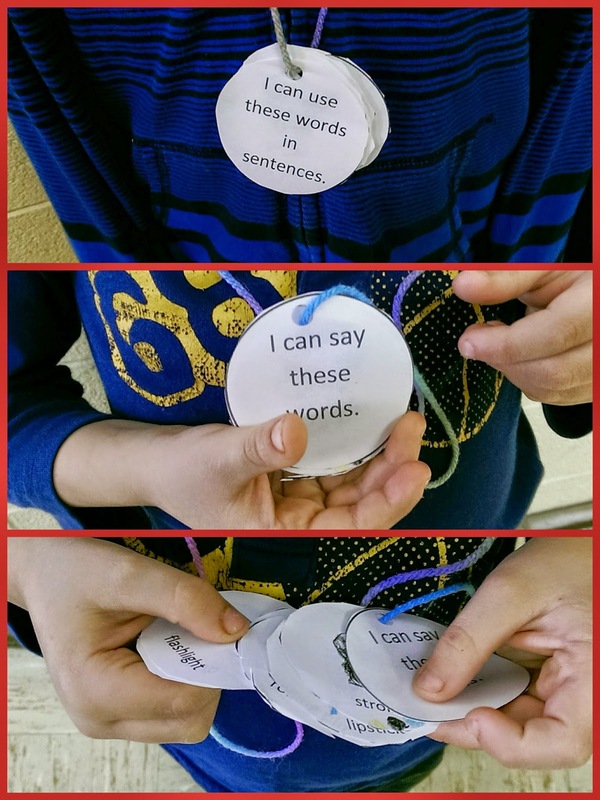 Putting Words in Your Mouth) is a freebie that my kids absolutely loved! One of my kids even suggested that we also add up the points on the sticks to see who had the most so there could be more than one winner. Instead of using "regular" popsicle sticks or tongue depressors, I used colored craft sticks (from the dollar store) and wrote numbers with Sharpies. She has /r/ and /r/ blends and /k/ and /g/ available for purchase. I took the craftivity from Nicole J at Teaching's a Hoot. 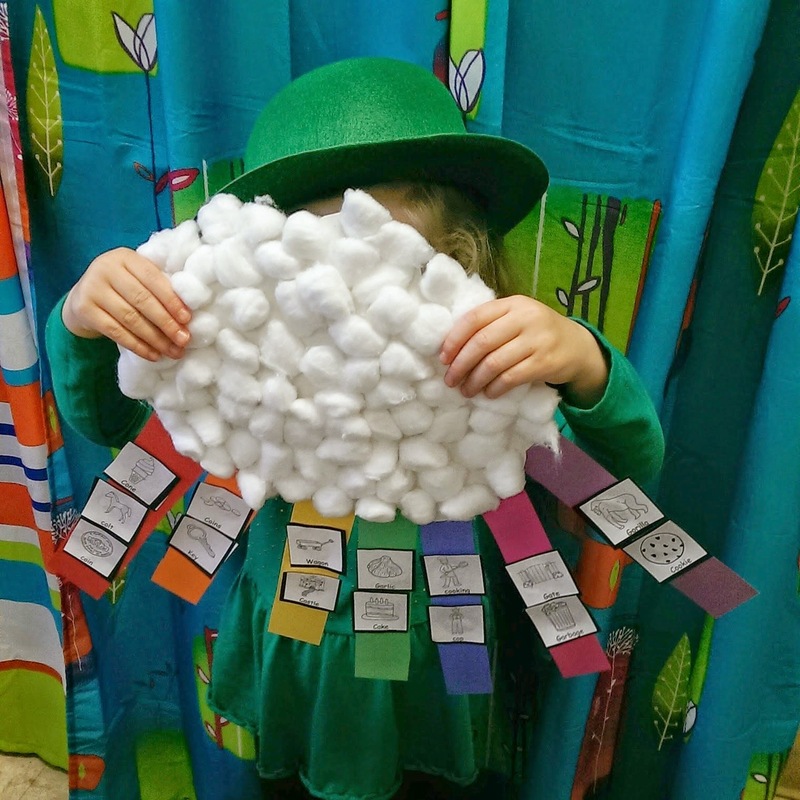 I modified it so that my student put a cotton ball on the cloud every time she said a word. I used Lessonpix to make pictures of words she missed to put on the different colors. You can find the free activity here. 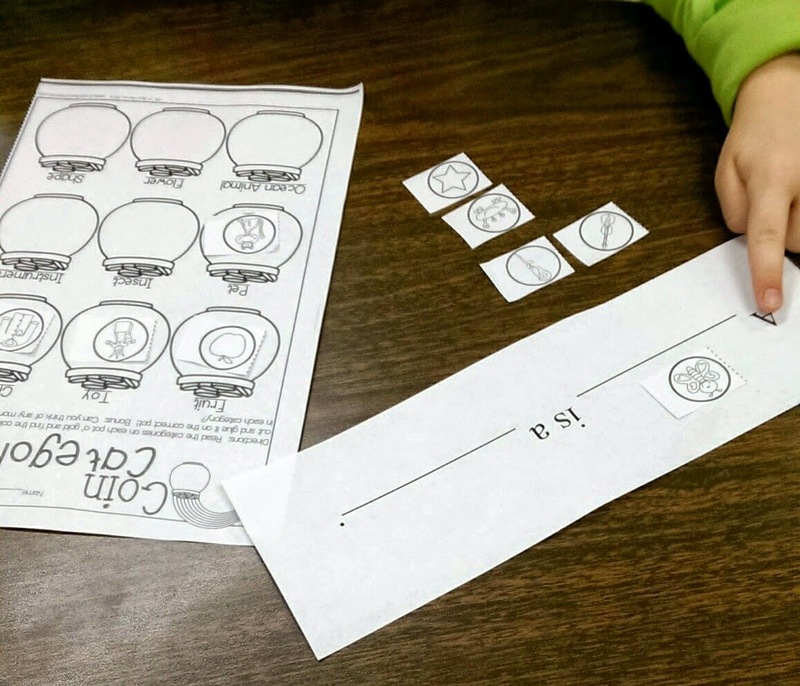 My preschool/kinder language kids sequenced the activity. There won't be a "Week in Review" next week since I'll be on Spring Break. Hope everyone has a good week! Ooh there is sooo much here! Way to go on your first product!! I've got to come back to this post when I'm at a computer to grab all your freebie links! Must have those cubes today!! 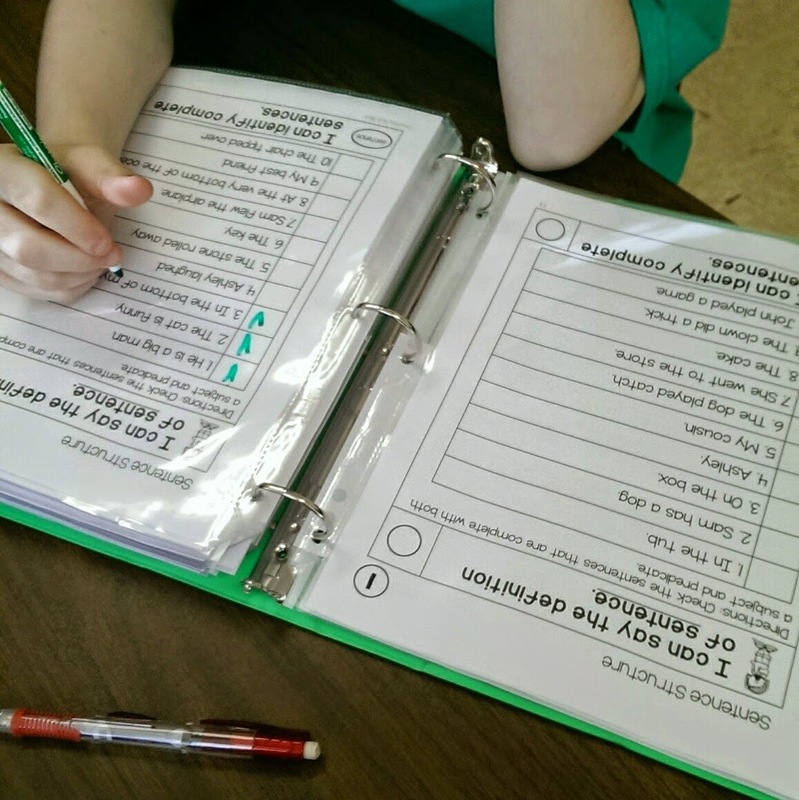 I have had Nicole's leveled grammar intervention on my wish list since I saw it. I didn't purchase anything during the recent sale as I have been trying hard to exercise some restraint! It looks so fabulous and a real time saver. As always, it looks like much fun and learning happened in your speech room this week. I wish I could go on sabbatical and visit all the speech rooms of all the bloggers I follow.